Dr. S. Kowsalya is a prominent Professor of the Department of Food Science and Nutrition during 2009 to 2016 at Avinashilingam Institute for Home Science and Higher Education for Women, Coimbatore, India. 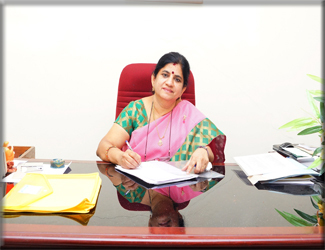 Dr. S. Kowsalya had assumed charge as Registrar from the afternoon of 9th Nov, 2016,of Avinashilingam Institute for Home Science and Higher Education for Women, Coimbatore. She graduated with triple major and studied M.Sc Biochemistry at Sri Avinashilingam Home Science College for Women, Coimbatore and M.Phil at Bharathiar University, Coimbatore. She completed her Ph.D in Food Science and Nutrition at Avinashilingam Institute for Home Science and Higher Education for Women Deemed University, Coimbatore. She entered academia in 1991 as a lecturer, emerged as the Professor (CAS) in 2009 and she upgraded as the Professor (Direct) in the Department of Food Science and Nutrition in 2015 at Avinashilingam Institute for Home Science and Higher Education for Women, Coimbatore. She explored many novel areas of research and implements the outcome of the work in the academic area. She has participated, presented and received many best poster and paper awards in many conferences/ workshop/national and international seminars. In pinnacle, she won best chapter award for chapter activities at NSI conference, Hyderabad during 2015 and 2016. She mentored more than 60 M.Sc projects, 20 M.Phil thesis and 4 Ph.D scholars. She has patent publication on "Micronutrient Rich Biscuit". She is a member of statutory bodies of BOM in Avinashilingam Jan Shikshan Sansthan(MHRD), BOS, IHEC, IAEC, RAC, Selectioncommittee in various universities and shecontinues as a member in Editorial Board of Indian Journal of Nutrition and Dietetics in Avinashilingam Institute for Home Science and Higher Education for Women, Coimbatore. 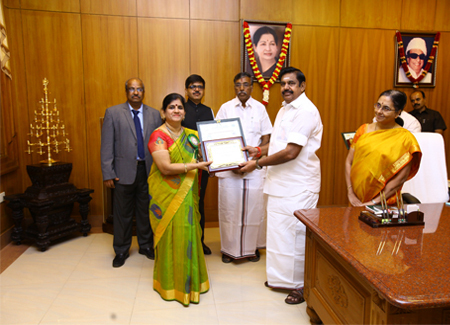 She received and completed many research projects funded by UGC, MNCES, The Institute of Applied Research,HeinzIndia private Limited, DST, Government of Tamil Nadu and currently involved as PI in producing courseware (e lessons) for Postgraduate students in Food and Nutrition sponsored by UGC. Rashtriya Gourav Award for academic achievement by the IIFS, New Delhi on 2009. Rashtriya Vikas Ratan Award for academic achievement by the International Institute for Education and Management, New Delhi on 2009. 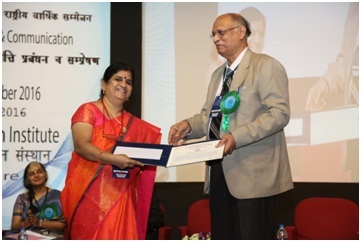 The Best Teacher Award by the Confideration of Indian Industry on 2012 for "Into the Thinking Map". Best Chapter Award from Nutrition Society of India as Convenor for 2015 and 2016.